Napa is known to produce one of the best wines in the world. The whole region is very picturesque with views of golden gate bridge in clear sky’s and awesome weather all year long. So you can enjoy the great Mediterranean weather, picturesque wineries and delicious restaurants. 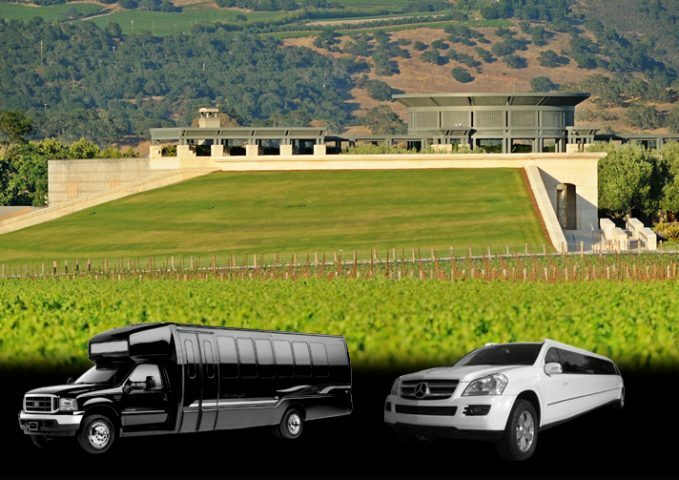 Fairfield Limousine has been proudly doing Limo and bus service for Napa Wine tours. Domaine Chandon: Living proof that the French are not total snobs, Domaine Chandon was the very first sparkling wine venture by a major French Champaign maker, the legendary Moet & Chandon. Although it is one of the most visited locations in all of Napa Valley, the restaurant and property are surpassed only by the quality of the sparkling wines that they pour. Peju Province Winery: This boutique winery produces an excellent Chardonnay and Cabernet Sauvignon. Although not included in normal tastings, see if you can get them to pour a little of the 2001 Cab – however, if you do, don’t be surprised if you wind up with more than one bottle. As an added bonus, the gardens surrounding the winery are beautiful and provide an excellent background for photos of your visit. Tasting fees are $10 per person, but are complimentary with a wine purchase. Charles Krug: The first Winery in Napa, it is still one of the best. While currently undergoing extensive remodeling, they still have a tasting room that is open and it is attended by some of the friendliest staff that we have encountered in all of our tasting excursions. On a recent visit, we enjoyed their latest Sauvignon Blanc, the 2004 “Generations” as well as their wonderful Zinfandel Port. A very nice touch was their furnishing of complimentary German Chocolate to taste with the Port. Tasting fees typically are $10-$20 per person, depending on which flight of wines you choose to try. These fees may also be waived with a purchase. As an added bonus, consider stopping for lunch right up the street from Krug at Silverado Brewing Company. While they do brew their own beer, they also feature a very nice selection of reasonably priced wine, an outdoor seating area and on certain days, St Louis style BBQ pork ribs fresh off their own outdoor grill. Orin Swift. Almost a true “virtual” winery, they do have a small tasting room on the second floor of an historic building right on Highway 29 in Rutherford. Open by appointment only, their “Prisoner” red table wine has established a true cult following. They have also recently released “Papillon” a Bordeaux style blend. After trying the Papillion, you will quickly understand why you will be hearing more and more about Orin Swift in the future. Del Dotto Vineyards: Del Dotto’s cave tours and barrel tastings are not to be missed. While the tour must be booked in advance and will take an hour at the minimum (we suggest planning on two! ), this is a must stop for those that are interested in learning how different types of wood effect the taste of wine. Our personal favorites from this winery include their Cabernet Sauvignon aged in Missouri Oak, their Cave Blend, and most definitely any of their fine selection of Ports. Del Dotto also features an outstanding wine shop, with hard to find wines from around the world. Frank Family: Long associated with the Rombauer Vineyards, Rich Frank (the Former President of Disney Studios), and his wife Connie now own 100% of this outstanding winery. Both their Chardonnay and Cabernet must be tasted to be believed. As an added bonus, this is one of the few top rated wineries that has resisted the temptation to charge a tasting room fee. Caymus. Available by appointment only, this tasting room only holds ten at a time but once inside you will taste some of the truly great Cabernets ever made. We do Fairfield Night On The Town, American Canyon, Benicia, Suisun.